Sorry to seem redundant, but I still have a few more recipes for breakfast! I really did spend a lot of time focusing on breakfast initially, as that was the next key to taking some stress out of eating allergy-free for me. 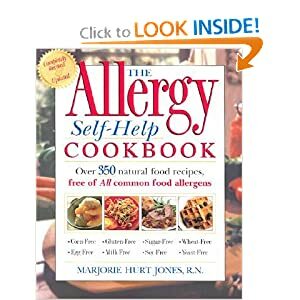 One book I found very helpful, due to my multiple food allergies, was The Allergy Self-Help Cookbook. The day I found out what my final list was, my husband picked this up for me on the way home from work. 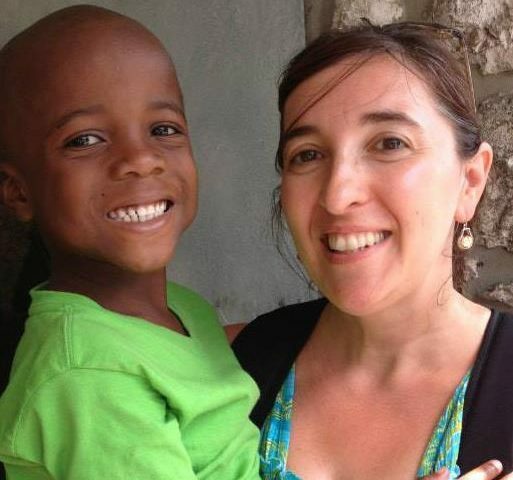 It helped me to take a deep breath, and not feel not quite so overwhelmed. I started with the breakfast section, and just tried a variety of things. I declared a “Food Safari” for my family, and hung up a colorful chart on the wall. We listed the new foods we tried, and then each person got to give it a rating. We home-school, so I try to take full advantage of any learning in “real life” that we can do together. We learned about food families, and tried making all kinds of new things together. I also did a bit of experimenting on my own in the evenings when it was quiet. 🙂 (I am going to see if I can get my Food Safari pages on here as well. We did “Food Art” and “Food Math”, as well as tracking new foods we tried). Preheat oven to 350. I lightly grease an 8X8 pan with light olive oil. (The sprays all have soy lecithin in them). I mix the flours together, and then the bananas, oil and syrup separately. Then mix two bowls together until combined. The book’s recipe says to bake for 20-22 minutes, but I always have to bake my version longer… more like 25-30 minutes. (You’ll have to gauge your oven). Bake until the top is lightly browning, and a cake tester comes out clean in the center. We eat this still warm, as is for breakfast, or with cream for dessert! Tomorrow I’ll be sharing my granola and rice milk recipes… yup! One more day of breakfast! Or maybe two… 🙂 I’ll be catching up on photos as I do some baking over the weekend, too! What is your favorite allergy-free breakfast?! * I have a tiny jar of stevia that has a teeny tiny scoop in it. I use 4 of those, which comes out to less than 1/2 tsp. Some people say they can taste stevia when used in baking. In this recipe, used in a teeny amount just to boost the sweetness of the bananas, we don’t notice it. This is part of a 31 Days series on Less Stress in Allergy-Free Eating. To view a list of all the posts in the series you can go here. To subscribe to my posts via email, you can go to my homepage, and type in your email address in the box on the right-hand margin. To view the list of over 700 bloggers participating in this 31 Days blogging challenge go here! Day Six: More Transition Thoughts, plus What’s for Breakfast?